This section includes T-shirts, gloves, hats and polo shirts. 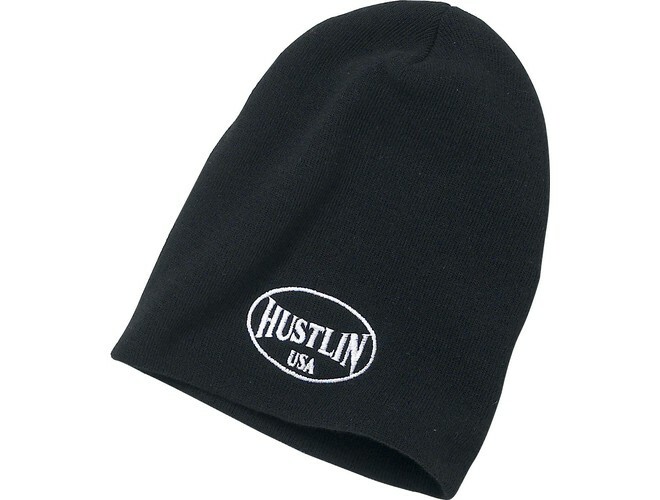 Many are available with manufacturer logos. 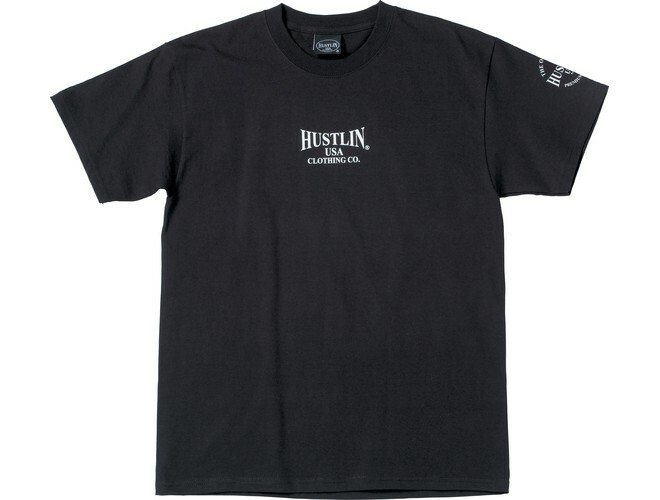 The Hustlin USA 9 ball t-shirt is made of 100% cotton and features the Hustlin USA logo on the front. 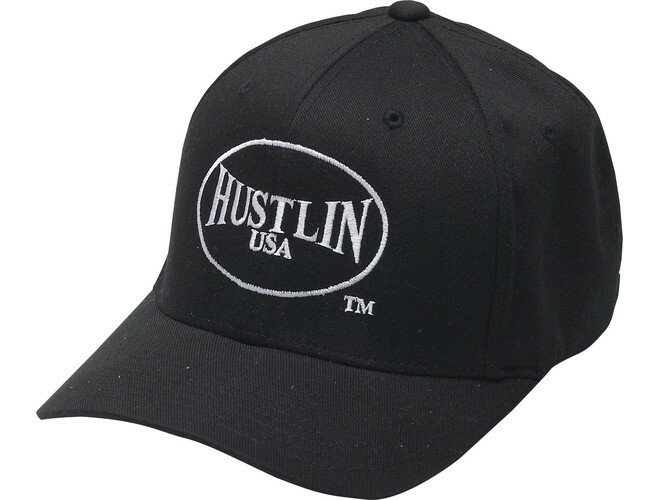 The back has a 9 ball logo and below is Hustlin USA. 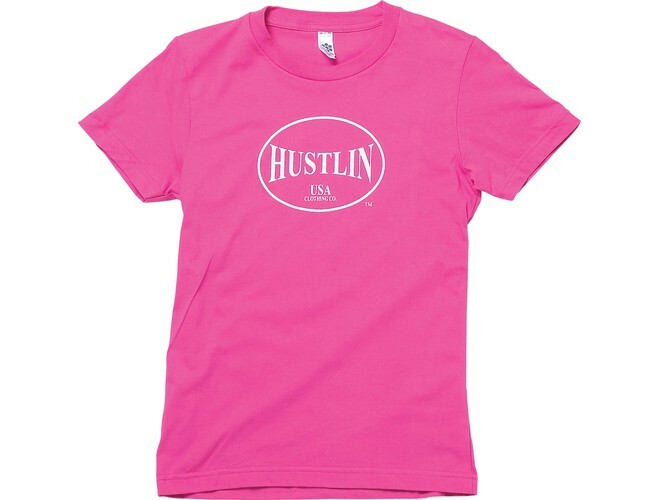 These are available in Men's M-XXXL. 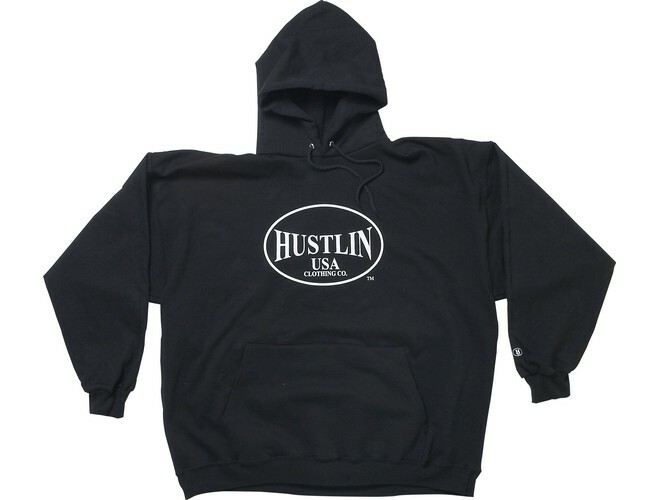 The Hustlin USA Hooded sweatshirt is an all black hoodie that features the Hustlin USA Logo in the front and center. 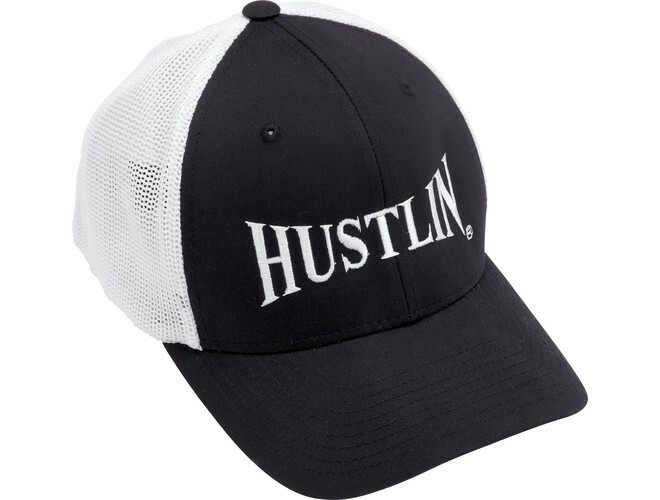 Joint the hottest revolution Hustlin USA. 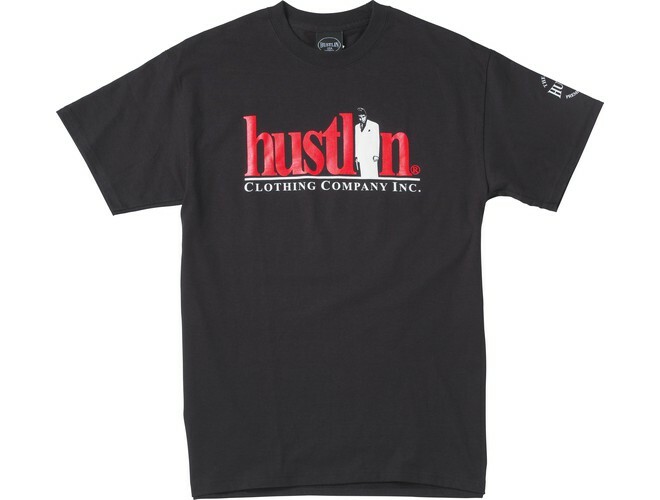 Available in Men's M-XXL.